After spending 20 years in the online dating industry, I know that trying a new dating site can be intimidating. I thought I’d let you know that I recently signed up for a new online dating site, Cupid.com and I wanted to share some of my experiences with you. While everyone is familiar with Cupid, the God of Love worldwide, perhaps you didn’t know that Cupid is one of the biggest dating sites in the UK. Cupid has now made its way to the US to match up singles stateside! • New Faces: Since I started using Cupid a few weeks ago, I’ve already seen the site grow extensively. In the LA area I’m seeing and chatting with great guys, and more are joining every single day. • Exclusive Events: Cupid hosts great events so that you can make the most of your online and social life! This month they are hosting exclusive screenings of sci-fi thriller Coherence in LA on June 19th, along with a fun pre-party so all the singles can mix and mingle. You’re invited to join in on the fun and bring a friend as well! I’ll be on site providing free dating advice for singles looking for love online. P.S. Cupid is offering a $12 rate for one full year of membership for a limited time. To RSVP for the Coherence film and VIP party, register here. 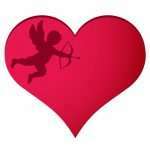 Cupid.com is hosting this event, so grab a single friend and RSVP to get your name on the list! Cyber-Dating Expert is a paid Spokesperson for Cupid.com for the #SetLoveFree promotion. All opinions are our own.